Karen and I often extol the virtues of staying at a winery when visiting wine country. Nothing beats the ambience of waking up to a vineyard scene. But, maybe you are looking for more than what a typical winery may have to offer. What about staying at a property modeled after a Southern Mediterranean village, with all the amenities you could ask for? And, yes, you will have that vineyard view all day long. 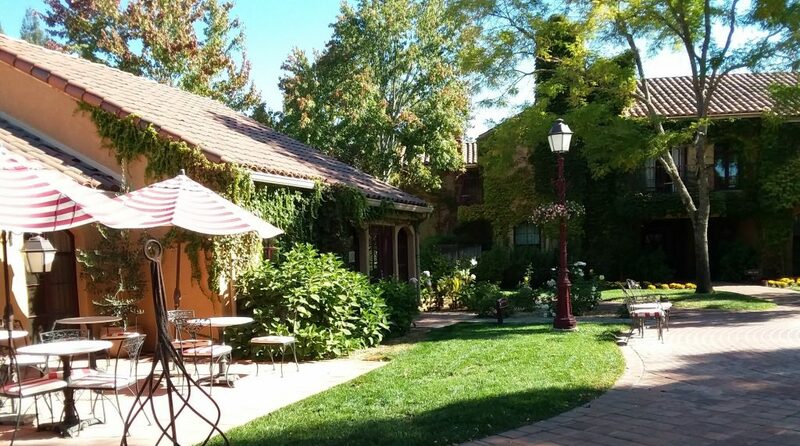 Located in Santa Rosa with easy access to local wineries as well as being able to jump on the freeway to expand your adventures – but Vintners Inn offers so much that you don’t need to leave the property if you don’t want to. We spoke to Percy Brandon, General Manager of Vintners Inn. He’s been with Vintners Inn over 18 years as he has shepherded them through their master plan with the expansion of additional luxury rooms, bringing the total from 44 to 78 – all of the new rooms have tons of modern features as well as vineyard views. Percy emphasized that the Vintners Inn motto of “Celebrate Everything” is not just a catchy phrase but it truly applied to all aspects of the guests’ stay. Acquired by Rhonda Carano and her late husband Don in 2000, it was a great addition to their existing ownership of Ferrari-Carano Vineyards and Winery. Percy came on board initially to manage the onsite John Ash & Co restaurant but soon took over the entire property. His enthusiasm and clear love for what he does permeates all aspects of the Vintners Inn. The elegant John Ash & Co restaurant is only the beginning of what this property has to offer. Other dining options include the The Front Room Bar & Lounge (its Happy Hour is a locals’ favorite) as well as the River Vine Café for breakfast and lunch. The recent additions not only include the luxurious new guest rooms but also the Vi La Vita Spa. 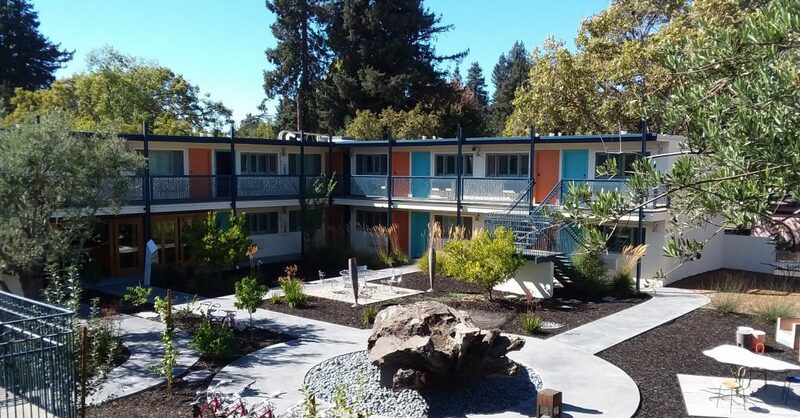 Being very environmental conscious, Vintners Inn has achieved the California Green Lodging Program’s Environmental Level. Not only is there an onsite 68 acre vineyard, but vegetable gardens and olive trees to supply the property’s restaurants. There are even beehives. Feel free to stroll among the vines and experience wine country firsthand. With a total property size of 98 acres, Vintners Inn also boasts a meeting and event center – who wouldn’t want to hold a business or pleasure function in this paradise? Not to mention the outdoor Vineyard Pavilion. No wonder Vintners Inn is such a popular wedding site; I think we saw two during our last stay and Percy told us they host dozens of weddings annually. Of course, the HdR event wasn’t all “work” [I use this term very loosely] at the seminars that I wrote about in last week’s article. Friday afternoon was the Opening Tasting and the Closing Tasting was held Saturday afternoon. The participants were the same at both, with the opening tasting focusing on older vintages and the closing tasting representing current releases. Wineries could only pour wines that were primarily made up of the 22 Rhône varieties. This was not only a great opportunity to taste an incredible number of fine wines, but to also interact with lots of winemakers. 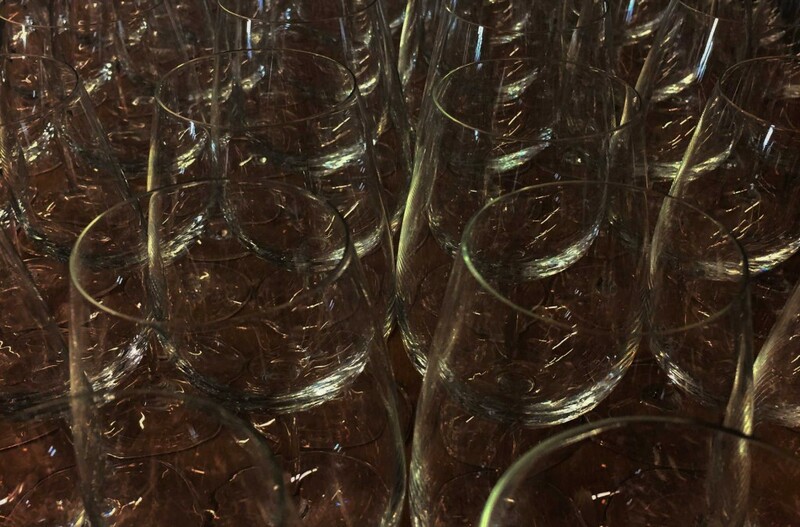 I did not take notes on individual bottles and did not get a chance to taste at nearly every table – check out this list of participants and you’ll see why I didn’t make it to everyone. I also focused primarily on California producers as these would be wineries I’d be most apt to follow up with for in-depth reporting in the future. Not on the list on the website, the wines of Santa Barbara’s Kunin Wines were also being poured. Seth Kunin passed away last year; I never met Seth and by all accounts my life is poorer as a result. Seth’s wines were being poured by his wife and his brother and they were delicious. Wine tastes great on its own, but ultimately it really shines as part of a meal – oft times for me as the star of the meal, but part of it nonetheless. Lunch on Friday was devoted to Rose, with bottles of Rose everywhere being provided by HdR participants, along with food prepared by Chef Nick Nolan of Society Cuisine. In addition, the passing of two wine luminaries was addressed, Seth Kunin of Kunin Wines and Robert Haas of Tablas Creek, as well as the Person of the Year being announced – Jed Dunnuck of jebdunnuck.com. The Farewell Dinner Saturday evening provided a wonderful time to reflect on the weekend that had passed so quickly. The four course meal was prepared by Chef Spencer Johnston of Danior Kitchen, featuring Southwestern inspired fare capped off with a delicious selection of meats [beef, chicken, chorizo and lamb] followed by dulche de leche cake along with strawberries and cajata. Not to mention the cooked grasshoppers which were a big hit at our table. And of course, the wines…it looked like all the bottles that had been opened at the tasting were sitting somewhere, along with plenty of full ones. I can’t say enough about this event – hopefully you’ve gotten this far in my writing about it. From the organizers to the participating wineries to the attendees, from the seminars to the meals to the tastings, whether one bought a weekend pass or went a la carte, I can’t think of a more well run event or one with higher quality wines across the board. As we headed off into the night, I thought that I couldn’t believe it was over and that two years couldn’t pass soon enough. Kudos to all involved. My most recent two-part article was devoted to whining about our trip to NorCal that had to be cut short when my wife Karen fractured her knee on the second day. As the first of that two part article hit our site, we were at the end of the week of devastating fires in Napa and Sonoma Counties that made my complaints seem petty. Truly, my heart has been broken over this. The loss of life is the worst part of course, but the loss of property and impact on the community is devastating as well. It was especially difficult for us was to learn of the damage to Santa Rosa, our adopted home-away-from-home. Over that week, my Facebook feed was inundated with images and stories of the damage and destruction being wreaked by Mother Nature’s fury. I’m sure your social media accounts were as well. And as a wine lover, I expect that you have friends and/or family up in NorCal wine country, or perhaps even live there yourself. You too probably know personally people who were evacuated [or like one of my friends – evacuated twice, or like another of our friends whose parents lost their home and all of their family heirlooms]. Even the hospital ER where Karen had to go with her broken leg in September was evacuated. After what seemed like forever of hearing the words “no containment”, we were all extremely ecstatic when, due to the efforts of the heroic first responders, the fires were finally brought under control. What happens next? The long rebuilding process begins. I think there is this myth of wealthy winery landowners. I’m not denying there are a few. But the vast majority of California wineries are small operations that can’t afford devastation that comes from the fires as well as the hit to the local economy which is fueled by wine tourism. Not to mention all the winery workers that are also impacted. Please bear in mind that not only wineries and their workers were impacted. The entire community needs help. Are you having a hard time deciding who to pick? In addition to donating, the consensus of how to help is to buy wine. Buy wine from the wineries in the affected areas and buy direct if you can. Limerick Lane is donating 100% of the proceeds of the sale of their 2014 Syrah/Grenache blend. Idlewild is donating 100% of the sales proceeds of their full or ½ case of Northern California fire relief wines. There are other wineries that are donating as well, along with a host of fundraising events. We’ll do our best to keep you informed of them on this site and on our Eve’s Wine 101 Facebook group page. I’m not sure how long these offers and events will last, but even when they are gone, Northern California Wine Country will still need a steady influx of wine sales and tourist dollars to facilitate the rebuilding process, which is going to take a long time. So, buy early and often. 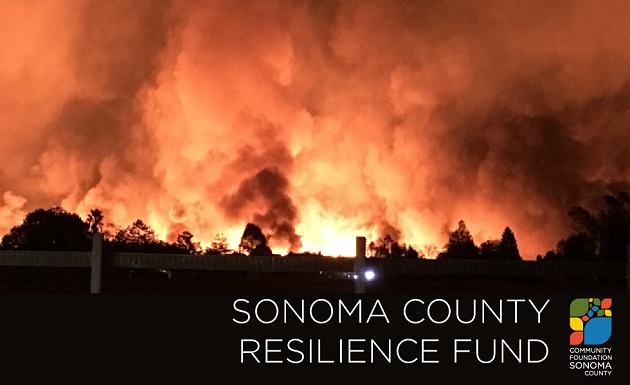 Reading news articles and watching film clips of both the #SonomaFire and the #NapaFire tells only one part of the story, over the last few weeks I found myself more drawn to social media – and especially to posts from friends – to grasp the full weight of what has happened. Ready to evacuate at Phifer Pavitt. One such friend, Gary Warburton – the white winemaker at Calistoga’s Phifer Pavitt and one of the first winemakers I ever met – was doing frequent updates as he, his wife Terry, his son Shane and daughter-in-law Suzanne and their children were surrounded by fires. I asked Gary if I could share his accounts, and he agreed. October 9, 1:36 AM: Fire seems to be everywhere. Entire hill between us and Santa Rosa ablaze. We are fine for now. Wind blowing away. 10:57 AM: …We have been up since 11:30 last night watching the hills burn all around us. Our fire started about 5 miles northwest at Tubbs and 128 and burned all the way over the hill to Santa Rosa taking many many homes, Safari West, and even possibly some of the kids high school. We watched it all morning just behind Chateau Montelena. If it had turned south we would have evacuated. Calistoga Fire looks controlled. Now Santa Rosa and Atlas Peak are ablaze. The kids and grandkids have been texting all night and many of their friends have lost entire homes. We appear to have dodged the worst. 2:45 PM: We are all safe here but stranded. Can’t leave in any direction. All electrical in both Calistoga and St Helena is out but for some unknown reason we have power at house and winery. We will stay on alert all night due to the forecast of wind direction change. Note: the Cavalry has arrived. 5:44 PM: Calistoga/Napa/Santa Rosa fire update. As predicted the wind has reversed and now we here at the Winery are covered with thick smoke. Visibility is less than 1000 feet. Not evacuating yet. The photo normally features a beautiful view of the valley. October 10, 6:34 PM: Fire update. All of us here at the winery are safe at this time. A flare up just occurred on the ridge about 5 miles west and we have been watching a constant water bombing by 747s for the past hour. We will spend a vigilant night. The other six fires from Napa City to Santa Rosa are still all out of control. Our kids and grandkids all have close friends that have lost homes. More than a dozen to now. They also lost a great deal of their high school. Night for now. October 11, 9:38 PM: We spent a vigilant night in shifts watching for flare ups in a hot spot a few miles west of our hillside location. All is quiet now due to light or no wind. However, Cal-Fire expects 20 mph wind later today with higher gusts so Much of Calistoga has been evacuated and the remainder on evacuation alert. We are just outside or perhaps out of sight of the evacuation area so we are sitting tight but have a definite retreat planned if we see flames crest the ridge behind the winery. We are currently in heavy smoke and ash which is preventing the huge 747 tankers from making their drops but they are in the air ready to provide support. I’ll report again later today. 1 PM: Update from the Pavitts; at 3:15am this morning, Evacuation Notices were issued to Calistoga – up to Solage (1 mile away). The Tubbs Fire is the most immediate threat at Mt. St. Helena. However, all fires around us are still raging. We are at the edge of the Mandatory Calistoga evacuation. If we leave, we cannot get back in. Presently we are holding and we have assumed a defensive position. The Firefighter ground crews have been battling all night. We need the ‘air cavalry’. Visibility & air quality is very poor right now. Praying for visibility to clear just enough that the Air Tankers can arrive. Winds are rumored to create a ruckus from 5:00pm today thru 10:00am Thursday. 5:00 PM: Thank you for your calls, emails, texts and prayers! Currently, our family, our Team, our Home and our Winery are safe and unscathed. It has been a harrowing few days. We are taking shifts sleeping. Our position in Calistoga has us flanked by fires to the North, West and South. After 2 days, we still have ZERO fire containment. The smoke is VERY thick and difficult to breathe. Ash has been raining down throughout Calistoga. Air quality reports have reached the Dangerous air level. We are wearing bandanas and remaining indoors. The boys lost their high school and SO many of our friends have lost their homes, wineries & vineyards. Many are still in harms way with the fires raging throughout Napa and Sonoma Counties. The weather reports are not favorable, with forecasts of increased winds this evening. We are numb with fatigue, fear and disbelief but we are safe, together and blessed beyond measure. Thank you for your offers to help. At this point, please just keep praying for the safety of human life, our Firefighters and Emergency personnel and for containment of the widespread fires. We will provide situation updates as they become available and time permits. 5PM: We are still under mandatory evacuation but are holding out for a bit trying to wet down the winery and house. As you can see by my photo the closest hot spot is gaining in intensity. It’s about five miles at most. We can’t see flames yet but imagine it’s only a matter of time. We will not risk staying much longer since we know the original flare up on Sunday traveled at 1 mile every 50 SECONDS…I’m off to wet things down. Promise to report late tonight. 11 PM: We are under mandatory evacuation as of 3:00pm. We wet down house and winery, put equipment away from buildings, riddled the Sparkling and evacuated at 6:00pm. Wind was only 2-3 mph and in a direction away from property. The kids decided to stay a bit longer. Wind decreased. Outlook good. As of this report the wind is still almost zero and the fire hot spots are burning away from the winery. Next report in the morning. October 12, 7 AM: Time for a North Bay wildfires update from my perspective…Can’t say I wasn’t a very worried grandmother as I was leaving my kids and grandkids behind (at their insistence) to hold the fort, stay strong and fight Mother Nature. At 5:42 am we received an update from them that they had been vigilant throughout the night and as of now, house and winery are still standing with no damage. Thank you so very much for all your good thoughts and prayers, it looks like He was listening. We cannot thank enough the first responders who so tirelessly worked on all of our behalf. Even the stern sheriff that insisted we leave “right now!” Before we left the property, Gary and I each took a hose and sprayed the winery from top to bottom as the kids were doing the same for the house. They took shifts again last night to watch for any flare-ups or trespassing embers and were rewarded this morning to see that all is well. Thank you God. I don’t think we will be allowed back to Calistoga today, but hopefully tomorrow. P.S. The video below only shows a few seconds of our escape. It doesn’t show the traffic we hit at the south end of the Valley where Hwy 29 and Hwy 12 meet. Cars and buses were merging together from Napa and Sonoma and it was crazy. We had plenty of time to call three different hotels to finally find one who had ONE room available in San Ramon (an hour and a half drive from Calistoga). Once we arrived, we were turned away because they had overbooked – there were five other families who had evacuated from the Valleys who were being disappointed at the same time we were. Back into the car to call another three hotels until we found one in Pleasanton where we landed a room right on the fwy (with all the fwy noise you would expect), and I slept like a baby for seven hours straight. Heaven! Sitting here now, I can’t believe I slept through the noise. Lol! P.S.S. For those of my Facebook friends who remember Mango, our beautiful Blue and Gold Macaw, she apparently has been spared from the fire, as all of the animals at Safari West have been. The owner of the animal sanctuary, where we gave up our girl, saved all of his animals with a garden hose and perseverance. According to reports, he lost his home though. So the next time you are visiting the Napa or Sonoma Valley, plan on a visit to the sanctuary to show your support of such determination and love. 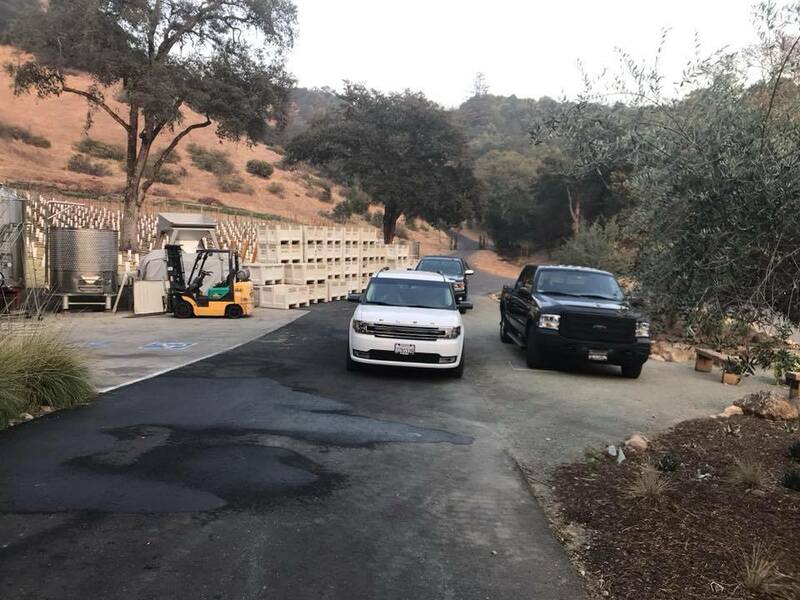 9 AM: Phifer Pavitt Winery survived the night of mandatory evacuation. The forecasted high winds did not blow and the hot spot that caused our evacuation moved away from Calistoga. We will remain vigilant. The fires are still out of control in the area but today should see some containment. Sidebar: what do you pack in your car when mandatorily ordered to evacuate? Personal business papers? Family photographs? Clean underwear? Well the only thing “I” packed were the 10000 labels for my Sparkling Wine. Stay tuned for afternoon report. 6 PM: The winery is not in immediate danger due to the favorable SW wind at only 4mph blowing fire away. However, the fire blew back over to the SW of Hwy 29 about 5 miles to the NW of the winery. Since the terrain is not defendable by man or engine our last crew on the property evacuated after again soaking the house and winery. So as of tonight our entire family is off the property and personally safe. Terry and I are in a hotel in Pleasanton and the kids and grandkids are with friends in west Santa Rosa. We will all meet tomorrow in Mendocino area to sit out the rest of this ordeal. Thank you ALL for your thoughts and prayers. October 13, 6 PM: Good news to this point. Of course the worst of the remaining Tubbs Fire is still only a few miles behind the winery but the wind has stayed light and our skeleton crew managed a quick look at our wine. All is fine. Praying that the expected 20-40 mph wind does not materialize tonight. We are all on our way to Mendocino via “Chateau Jordan” where we are being hosted tonight. Totally bummed that we just heard that the home of Charles Schulz along with all memorabilia was burned to the foundation. The Schulz legend is steeped here in Santa Rosa. I’ll report tomorrow morning. Positive thoughts for a windless night. October 14, 8 AM: The Tubbs Fire (our fire) after a somewhat calm night is now 45% contained. We are still under a “red flag” warning until, most likely, tomorrow morning. This will mean our mandatory evacuation may last until Monday or longer. Our winery as well as all others in Calistoga seems to be out of immediate danger. However, containment is not “control” and if the winds materialize the flames can travel at more than a mile every 50 seconds. We all remain patient and vigilant. 8 PM: Calistoga is still under mandatory evacuation. Red flag fire warnings are still posted. Close friends who have eyes on the fire say that the Tubbs Fire behind our winery occasionally flares up but the winds have cooperated and the Cal-Fire crews have made great progress. We are blessed with friends offering sanctuary and are currently at Irish Beach with hopes of an advisory of repopulation soon. When this advisory comes we expect another day or two before it becomes effective. This may be a fantasy but we hold out hope. Sitting here totally out of danger and as a family we reflect on all our friends who have lost their homes and wineries. A sad day indeed. And the danger continues. October 15, 10 AM: Preliminary and unofficial word is that the night was calm on our fire site. Firefighters on foot attacked the Mt St Helena area at its peak cutting fire breaks at the 4000ft plus level. Apparently the nighttime temperatures and humidity affords better chances of containment. Our “scouts” report that they are attempting to legally re-enter the winery to care for our wine on a temporary basis. We are insisting that all of our family and employees take no action that would either endanger themselves, hamper fire fighting, or ignore any official mandates. At the present, officially all road closures remain in effect and all evacuation orders stand firm. I’ll keep you posted on current events. We are hopeful that our evacuation orders will be able to be lifted soon. And to report on our wine all I can say is that we are very fortunate to be in a period between harvests and at the present all of our wine is safe and happy. Updates to follow, as we as a family are in retreat on the Mendocino coast in fresh air. We only wish that all of our friends could have been this fortunate. Our prayers go out to those who weren’t. We are patiently waiting until we can return so we can be of greater help. 6 PM: The Tubbs Fire (our fire) is over 60% contained. Calistoga City was repopulated as of 2:00pm today. However, we are about .6 miles outside the city limits so we are waiting for the OK to return from the county. Our staff was able to get a County Ag permit to return to do winery business. We are spending one more night here in Mendocino and will return tomorrow. Afternoon: our Cab is scheduled to be harvested Wednesday and that should be good timing as long as the current progress against the fires remains constant. One more night for us should calm our nerves along with…Dark’n Stormys. October 15, 8AM: Calistoga Fire Report, Tubbs Fire. 70% contained. We are packing to return…for now I must mention that close to 10,000 fire fighters from as far away as Australia who have tirelessly fought against what the fire Captains have called a “career” fire. Amazing that fire fighters rallied from all around the nation. Last note this morning: while sitting at the winery on Tuesday late afternoon the parade of tanker planes attacking the flames looked like the landing pattern on a busy night at LAX. October 16, 6:00PM: Home again. All intact and we are exhausted. The past 5 days of exile have been brutal but nothing compared to those who lost homes, schools, business, and loved ones. All fires now seem to be manageable but will cover the Napa and Sonoma Valleys with smoke for days to come. Our drive home forced us to drive south of Sonoma where we saw that the fire was stopped only by a few vineyards and the San Francisco Bay. It started north/west of our winery and traveled 31 miles to Carneros and the Bay devastating huge parts of both Napa and Sonoma Counties. Total acres burned approach 200000 or 315 sq. miles. The city of San Francisco is about 48 sq. miles and NYC is 304 sq. miles. Gives us some prospective of this firestorm’s wrath. This will be my last post as long as the fire continues to burn out. One Cal Fire Chef noted that most firefighters will see only one “career” fire in a lifetime. He said there were 5 career fires in this inferno. Thank you all for all your wonderful thoughts and prayers. Karen’s knee injury meant that we had to head home. We did get to spend one night at one of our favorite hotels anywhere. Vintners Inn in Santa Rosa offers a great wine country experience with outstanding rooms, excellent dining and an on-site vineyard to stroll through. We had to skip the vineyard stroll and our dining was limited to the room-service burgers we ordered [which were excellent by the way]. Hotel staff was caring and accommodating; and we were very grateful under the circumstances to be able to switch from an upstairs room to a downstairs one with no trouble at all. As we sadly had to hit the road the next morning, we were already planning our next, hopefully extended, stay. This week, I want to share with you the places we had planned on visiting. We had done a lot of research and planning, so we know these places will be on our list for our next trip back up to Northern California. In Santa Rosa, we were planning on spending a few days at Vintners Inn. While there, we had a few winery visits planned. In the Dry Creek Valley, my favorite wines from Mauritson Wines are Clay Mauritson’s outstanding Zinfandels and Petite Sirahs. Bella Vineyards was on our list as well for its great Zins. 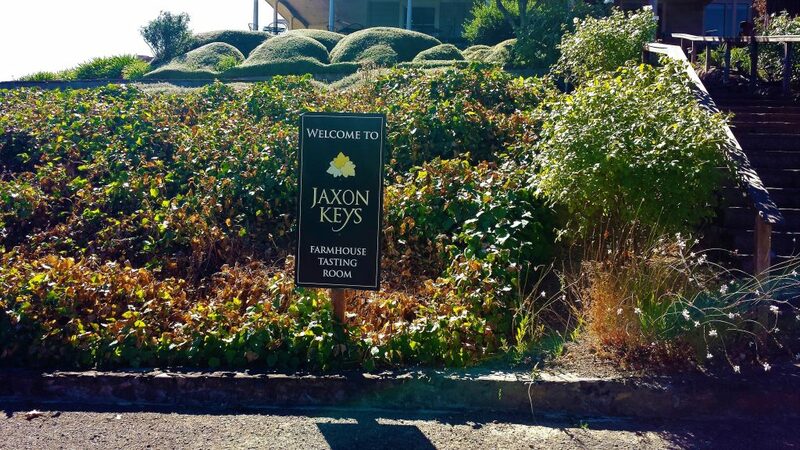 During our last trip to Sonoma County, we visited Jake Bilbro’s Limerick Lane winery. Jake has two brothers who also make wine. Sam Bilbro’s Idlewild specializes in Italian varietals while the winery that started it all in the Bilbro family, Marietta Cellars is now under the care of Scot Bilbro. While in the area, we were looking forward to return dining experiences at Healdsburg SHED and Café Lucia. Heading south to San Francisco, we had booked our stay at Hotel Diva, great looking hotel within walking distance to Chinatown and couple of restaurants we wanted to check out: La Marsa and Bota. The last leg of our trip was going to be on the Monterey Peninsula. We were really looking forward to our stay at the Monterey Bay Inn. White Monterey County is known for Pinot Noir and Chardonnay, we had planned on visiting two wineries that did not fall into these categories. Pierce Ranch Vineyards is known for Portuguese and Spanish varietals, along with Cabernet Sauvignon, Petite Sirah, Zinfandel and Rhones. In addition, we had not visited Boete Winery in many years and were really looking forward to their Cabernet Sauvignon and Cabernet Franc. There are lots of great dining choices on the Peninsula. Fifi’s Bistro Café in Pacific Grove is an old favorite, Passionfish is legendary and we were excited to try a new find for us – Jeninni. Not to mention the grilled oysters at Monterey’s Fish House. 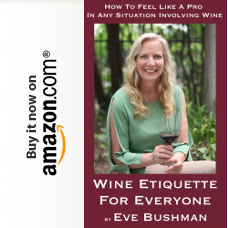 We’re looking forward to Karen healing from her injury and heading back up to really report on all of this for our Eve’s Wine 101 readers. At least this time we won’t have to do a lot of advance research. A few days prior to attending Ian Blackburn’s wineLA Elevating Zinfandel event with my wife Karen, I happened across a video that had been posted on Facebook by ZAP [Zinfandel Advocates and Producers – the organization “dedicated to advancing public knowledge of and appreciation for American Zinfandel and its unique place in our culture and history”] featuring Joel Peterson, founder of Ravenswood winery and often called “the Godfather of Zinfandel.” Joel really gave a great explanation of why Zinfandel is considered America’s Heritage grape, given that it truly found its greatness here in California versus, for example, Cabernet Sauvignon in Bordeaux and Pinot Noir in Burgundy. This greatness was evident at Elevating Zinfandel, where more than a dozen of California’s best producers of Zinfandel showed up to La Brea Bakery to pour their wines for a group of very appreciative tasters. There were absolutely no losers here. Every winery on this list was pouring some outstanding Zinfandels. I could easily end this article here by just saying you should go buy wines from any of these producers and you will be happy. But, that would make for a pretty short article. So, let me expand on some wines that really stood out for me. When people in Southern California think about Zin, especially those of us in Northern LA County, Paso Robles may come to mind more than any other region. At this tasting, Paso was represented by J Dusi. I knew that Janell Dusi would be up to this task, having made wine from her family’s Dante Dusi vineyard for about 10 years now. 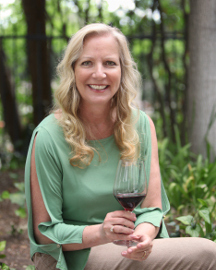 The Dusi Vineyard is one of my favorites anywhere for Zinfandel [not just Paso], so I was happy when Janell started making a small amount of wine from the family property, later expanding into other varietals as well. The 2014 Dante Dusi Vineyard Zinfandel and the 2014 Escandalosa blend of Zinfandel, Syrah and Mourvedre were two of my favorite wines of the evening. Bedrock Wine Co. & Under The Wire – winemaker Morgan Twain-Peterson [son of the aforementioned Joel Peterson], along with partner Chris Cottrell, has been making wine since he was 5-years old [although he started out with Pinot just to piss off his dad]. The 2013 Under The Wire Bedrock Vineyard Sparkling Old Vine Zinfandel was stellar, and the two 2015 Heritage [historic vineyards – field blends] wines being poured – the Evangelho [Contra Costa County] and Pagani [Sonoma Valley] were great examples of what I think Morgan does best. Ian Blackburn’s Beekeeper Cellars has been getting well deserved rave reviews. Based in Dry Creek Valley, my favorite was the 2014 Secret Stones, Madrone Spring Vineyard, Rockpile, Sonoma County. Not surprising – Rockpile is a favorite AVA of ours; more wines from there will appear later in this article. Another Dry Creek Valley winery, Bella Vineyards, impressed us with their Westphall, Rockpile, Sonoma County 2013. We first tasted Brown Estate Vineyards Zinfandel several years ago at a restaurant in Las Vegas called Rosemary’s. We ended up ordering a second bottle, it was so good. Sadly, Rosemary’s is gone but Brown Estate is still making great wine in Napa Valley, especially for us the Napa Valley, Chiles Valley District 2015. Not sure where to begin with Carol Shelton Wines. We were just really impressed with her whole lineup. Based in Santa Rosa, she sources from various places. Nice of her to share a 2014 Carignane [loved that she snuck that one in] along with her Zins. And a big shout out for making a Zin from Southern California’s Cucamonga Valley. When I first tasted the Zins from Gamba Vineyard and Winery many years ago, they seemed too big, even for me. I’m happy to report that they are doing it right. Luscious lip-smacking wines across the board from this Windsor based winery. You can’t really talk about Dry Creek Valley, especially Rockpile, without mentioning Mauritson Wines. Clay Mauritson was pouring a few wines – favorite by a nose was the Rockpile Ridge Vineyard. Ottimino is a new winery to me. Really cool to taste a 2001 Zin from them as well as their current releases. Based in Sebastopol in Sonoma County, the 2014 Ottimino Estate Russian River Valley Zin was great. Robert Biale Vineyards – an old favorite of ours. I did not make it back to their table after the VIP portion of the event, but the 2009 Black Chicken Zinfandel that winemaker Tres Goetting had poured me at that time was excellent. Turley Wine Cellars – while many people associate Turley with Paso, and rightfully so, the winery is actually headquartered in Napa Valley. Christina Turley was on hand to pour a few of the winery’s delicious Zins. I’ve made no secret of how much I like this winery. This time, the 2015 Duarte Contra Costa County earned top marks for me. I apologize for the wineries I missed mentioning. As I said, all of the wineries represented are worthy of your attention. Big thank you to La Brea Bakery for hosting the event and serving some delicious food. Thanks to Ian Blackburn and his great staff at wineLA for putting on another great wine tasting. Check out his website and sign up so you don’t miss anything. 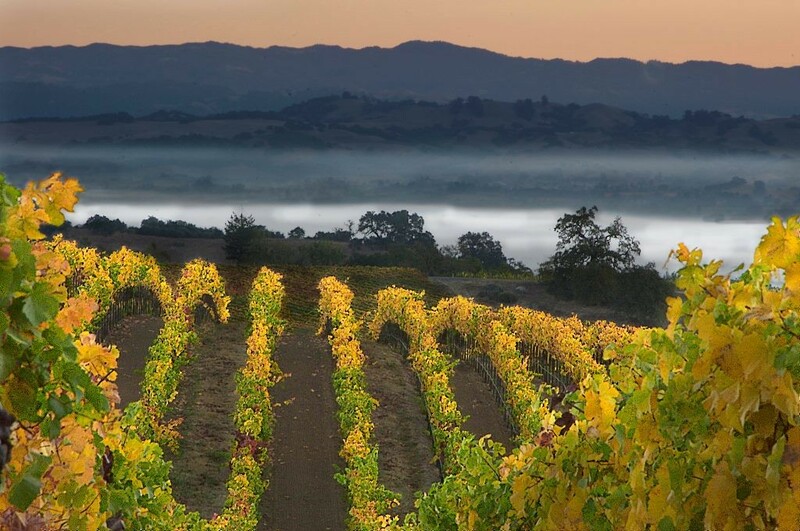 SANTA ROSA, Calif. – More than 25 of the Russian River Valley’s top wineries will converge in San Francisco on November 3rd and then in Sacramento on November 10 during the Russian River Valley Winegrowers’ (RRVW) Single Vineyard Night tastings. Attendees will have the opportunity to taste small-lot wines stemming from single vineyards across the acclaimed American Viticultural Area, known for its exceptional soil and favorable grape-growing climate. The Russian River Valley is one of the premier wine regions in the world for cool climate wines, especially Chardonnay and Pinot Noir. Both Single Vineyard Night events will allow guests to visit with the wineries and growers who work in tandem to produce some of the world’s finest vintages. 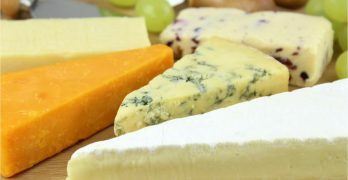 The ticket price includes the tasting as well as appetizers from local artisan food producers. In addition guests can bid on incredible experiences and wine offerings in the silent and live auctions. Best of all, a portion of the proceeds will be donated to local charities – in San Francisco, we’ve partnered with The Guardsmen, a group of Bay Area men mobilizing their significant talents and resources to enhance and improve the lives of at-risk youth. In Sacramento we’ll again partner with the Active 20-30 Club of Sacramento #1032. Active 20-30 is a nonprofit organization that provides adults between the ages of 20 and 39 with an opportunity for personal growth, friendships and leadership development while improving the quality of life for the special needs of children in our communities. 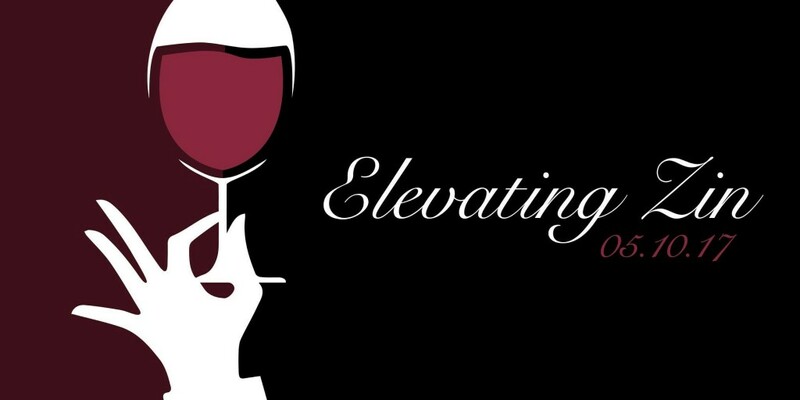 Visit rrvw.org for a list of participating wineries and to buy tickets. The Russian River Valley Winegrowers (RRVW) is a community dedicated to promoting the Russian River Valley as the premier region for growing cool climate grapes while producing wines that showcase the diversity of our many neighborhoods. Our farmers and winemakers work in a manner that is environmentally sound, socially equitable and economically viable in order to continue our legacy as good stewards of the land and producers of distinctive wines of exceptional quality, authenticity and integrity. For more information on the Russian River Valley or becoming a member, please email info@rrvw.org or visit www.rrvw.org.